If you need some holiday refreshment, inspiration, and more ideas for gifts, look no further than the scrumptious macarons from Dana's Bakery! 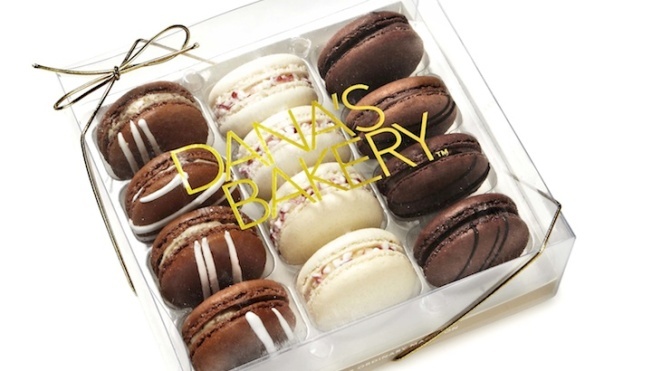 Naturally gluten-free and baked with almond flour, every macaron from Dana's Bakery is crisp on the outside and deliciously soft and creamy on the inside with an indulgent filling of your choice. This holiday Dana's has also rolled out holiday flavors, including white chocolate peppermint bark, gingerbread, and a chocolate molten macaron, designed to make your mouth water. Dana Lois ia a former photo editor turned pastry chef, living the career-changing urbanite's dream, and has brought a wider array of flavors to the beloved French pastry, including Cookie Dough, Birthday Cake, and Peanut Butter & Jelly, all with an artisanal touch and eye-pleasing flair. Available nationwide at DanasBakery.com or at 800-477-1816 -- $30 for one dozen. Don't wait!